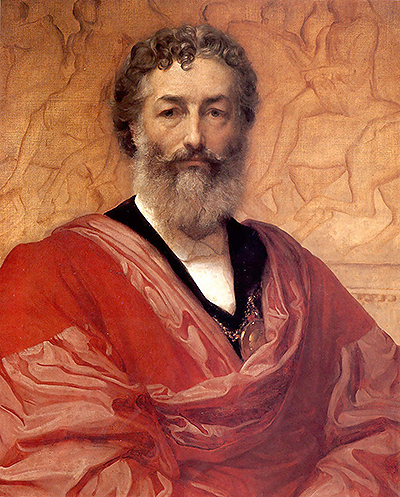 Disclaimer: www.FredericLeighton.org is a personal website covering the career of famous British artist Sir Frederic Leighton, but is in no way an official website for Sir Frederic Leighton and www.FredericLeighton.org does not claim to be that in any way. The Estate of Sir Frederic Leighton and their presence hold all necessary copyrights and licences for all of his paintings and other works. All prints, paintings and photos included in www.FredericLeighton.org are provided as an affiliate to Art.com who hold necessary permissions. Art.com pay us small commissions based on any prints or paintings that you buy as a result of using this website.